*Spoiler Alert: I may say something that ruins your life. Hello again. Let’s get to it, shall we? In the wake of #InternationalWomensDay it’s only natural I continue my Lady Love series, and this is one edition my bony fingers can’t wait to tackle. Unless you’ve resided soundly beneath a boulder for the last few months (in which case I’m very sorry), it’s near impossible to avoid the upcoming election. CNN and Fox News practically foam at the mouths each time a candidate says something stupid, smart, or generally nondescript, and I must confess I’ve found myself swept up in the political fracas. Rather than bore you with yet another political “break down,” let’s instead talk about something much more enjoyable (and less likely to induce a gag reflex). Of course I’m talking about House of Cards. I’ve carried along with Frank and Claire Underwood since the very beginning. Is the show a bit soap opera-y, unbelievable, and downright dark at times? You betcha. In an interesting article from Salon titled, “Hillary’s ‘House of Cards’: What Claire and Frank Underwood tell us about marriage, gender and the White House,” the author points out why so many keep coming back to this campy political drama. [House of Card’s] cynical, chilly, dispassionate view of American politics and human relationships feels knowing, at the very least, about the truly craven depths of the human heart. Even though I find myself snickering at the absurdity of some of the plot twists (bye bye Rachel), the show does a good job of remaining loyal to its characters, allowing them to develop to the nth degree without putting on the breaks. The characters themselves are unique and thoroughly entrenched in their own dark dramas, only looking up when they bump into another person’s dark drama. The show is twisty, plotty, and so very different from my every day life that I’d be lying if I didn’t say I loved it because of the fraught escape it provides me. Praises that the newest season is out and ready for our binging pleasure. But let’s be honest–the real person we care about is Claire. She is the stoic, calculated, and utterly classy female frontrunner that does whatever it takes to make it to the top. It’s become clearer each season that Miss Claire is truly the brains behind Frank’s dastardly deeds. He vows to raise the banner of ruthless pragmatism —and he does—however, it’s Claire who fights, suffers, strives, and wins. Here are two reasons I’d choose Claire as my team captain, no matter the situation. There are times in life when you’re sad and anxiety-ridden and you need to curl up under some covers with a puppy and a mixing bowl of Cap’n Crunch and just dig the hell in. Yes life is troubling and ugly and in many situations crumbling into a heap of tears and emotions is totally understandable. Sometimes, though, you’ve got to straighten up and do the dang thang. Throughout the entire series, Claire is faced with triumphs and tribulations so polar they’d make even the most even-keeled person have a melt down in a Target parking lot. Her focus and commitment is undeniable. And even though her station as “wife” and “First Lady” weirdly diminishes her accomplishments time and time again (thanks society), she understands the nuances of her place and uses that in her favor. Truly, Claire has worked and sacrificed alongside Frank; however, in Season 3 the seat of the First Lady muddies her contributions in the eyes of others, relegating her to choosing the right easter egg for the White House hunt while Frank discusses matters of national security a mere few floors away. In one of the best scenes in the entire series, Claire and Frank go at each other in the oval office. “I should’ve never made you ambassador,” Frank says. “I should’ve never made you president,” Claire retorts. Here we see Frank not as a cunning leader who has duped an entire nation, but as Claire’s political puppet, one she’s been manipulating from day one. This is why I love her ice. She has to be calculating and has to be consistently on. She understands her precarious position even more than Frank, and knows what is required in order to accomplish her ultimate goal. I think that sometimes Claire gets overshadowed by Frank. Yes, yes, yes, he was able to become the PRESIDENT without a single vote cast in his favor and yes, yes, yes, he did it by killing not one but two people, but let’s take a moment and think about Claire. She gave up her nonprofit, she allowed her husband to take a mistress, she denied herself a lover, and she did it not because her husband needed her to…but because she knew it was necessary. It was necessary in order to achieve the ultimate goal-a forever spot in history. Absolute power drives her just as much as it drives her husband. Her drive allowed her to dig into her dark past. But rather than rely on her story as a crutch, she used her pain to propel her. There have been several articles touting either her utter commitment to the feminist cause or her abrasive opposition to it, namely because of how her sexual assault was handled in Season 2. It’s true that Claire evolves throughout the series, I would argue that it’s her drive that increases along with her character depth. 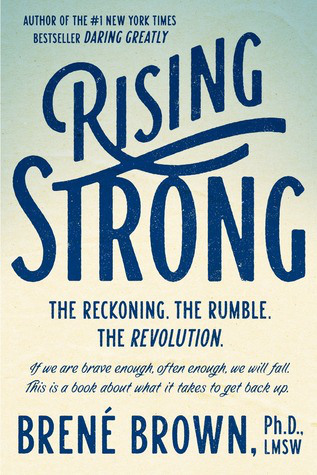 In this article from the Atlantic, the author tackles Claire’s trajectory. One thing that cannot be argued is Claire’s nuanced personality. In my opinion, she sees herself as thoroughly equal to both male and female counterparts and believes she should be treated accordingly. This is a huge aspect of feminism, one that seems simple, but in a male-dominated society, is actually pretty stinking hard to carry out. Also, she doesn’t succumb to societal pressures of how her life should look; she writes her own story and adheres to that script no matter what. What do you think about Claire Underwood? Would you choose her as your team captain? Hello all, I’m back at it with a few more book recommendations. This post is dedicated to that necessary evil we all love to hate—Professional/Personal Development. I’ve written on the subject of self-help books before, though “Personal/Professional Development” sounds a little sexier, if not creepily hormonal. Wouldn’t you know, there’s a brand new batch of great books for 2016 just waiting to be devoured. I’ve always been open to various genres (turning my nose up will likely result in me walking into something). So I’ve tried it all—from trashy romance novels to horribly angsty YALit to some really dry, difficult classics, and they’ve all taught me something valuable. The thing about Personal and Professional Development books is they aren’t sly about their teaching—there’s basically a big ol’ neon sign flashing “this is going to teach you something” above each work. In our fast-paced society, it’s easy to feel bogged down, unmotivated, and overwhelmed, especially when you evaluate your career and life and come up wanting. The thing is, everyone is a work in progress. Everyone could use a little extra boost. I’ve always been kind of obsessed with the topic of improvement. My shelves are lined with notebooks filled to the brim with neatly scripted to-do lists and goals and inspirational phrases painstakingly transposed from Google (is that endearing or just sad?). I’m a big believer in setting attainable goals and working my arse off until I can contentedly slide my pen across one less item on my ever-changing life list. No matter if you’re a CEO of a major corporation, a stay-at-home mama with a brood of lovely rascals, or a fresh-faced college grad with a little too much pluck, these books can help you and your career develop (yuck). You don’t build the life you want by saving time. You build the life you want, and then time saves itself. Recognizing that is what makes success possible. In life, you can be unhappy, or you can change things. And even if there are things you can’t change, you can often change your mind-set and question assumptions that are making life less good than it could be. She also takes on the narrative we tell ourselves about how “busy” we are. In society business is a status symbol in the same way a lack of sleep seems to represent a life well-lived (more so, at least, than someone who happily clocks 7-8 hours a night). Vanderkam takes these assumptions to task and upends them, asserting that it’s okay to have leisure time and to be well-rested. Unnecessary quotations are wonderfully awful. Marie Kondo is a self-proclaimed tidier who has spent her whole life looking for efficient ways to store, manage, and enjoy her belongings. It’s kind of impossible to continue living in clutter after reading her engaging work. Yes, my purse is still a madhouse of fools and my car is kind of an embarrassment to the human race, but my cabinets…my cabinets are truly lovely. The same can be said for the majority of my house, although my closet tends to build up with clothes and puppy toys faster than you can say clutter. However, Kondo’s two-point approach to getting rid of stuff and filling your space with things that truly bring you joy is really compelling. First, put your hands on everything you own, ask yourself if it sparks joy, and if it doesn’t, thank it for its service and get rid of it. Second, once only your most joy-giving belongings remain, put every item in a place where it’s visible, accessible, and easy to grab and then put back. Only then, Kondo says, will you have reached the nirvana of housekeeping, and never have to clean again. When she says put your hands on everything, Kondo means everything. And she means do it all in “one sitting,” or a cohesive space of time, not spread erratically over a year or a few months. She divides up your tidying into different categories based on their degree of difficulty, with the last category, personal memorabilia, allowing you to put off throwing away your love letters and kindergarten poems until the end. Kondo’s method comes from a worthy place—according to her, your home should only contain the things that bring you contentment and joy. I will say that her section on books was hard for me—she requires you get rid of books that no longer bring you joy. I must confess I didn’t go through my books as I should have because it is so hard for me to give away books. One day I may need them! Or worse, someone else may randomly need my extra copy of Southern Women Writers and I will be able to fill that void. I know I have a problem and I’m working through it, but I digress. Kondo asserts that the things you don’t absolutely love are taking up the space that the more joy-bringing items could occupy. She encourages people to toss or donate these misfit items. Donate and toss I did. By the end of my tidying I had 6 garbage bags filled with stuff I no longer needed. And as Kondo promised, I felt a lightness I could only describe as declutter detox. The feeling was so strong, I told about 7 of my friends they absolutely had to read the book so we could talk about it at length. The Life Changing Magic, is much more than a cleaning book. It’s a book about taking stock. It’s a book about assessing the life you have and how it measures up to the life you want, and adjusting accordingly. So there you have it. Two books to fill up your brain and your Kindle, that will also help you professionally and personally. Happy reading! Hello guys and dolls. I hope wherever you are, there’s a nice cup of coffee and a bag/plate of carbs within arm’s distance. Today we’re going to deviate a bit from recommendations and into a darker territory. Now, before you go crawling back into your Netflix-laden hole, hear me out. The real world is kind of scary, yes. Bills and taxes and job interviews and termites are all equally horrible, and they’re all things “adults” have to deal with. However, everyone hates dealing with blandly adult things. Moreover, most everyone longs for that sweet time when they were able to ask the adults in the room to wave their magic wands and make all the bad and boring disappear. Sadly, the wand is gone, folks. For those who’ve just graduated with a Liberal Arts or English degree and find themselves in the hire me hell hole (a term I coined while I resided there), the wand seems like damn lie. Anyone who has decided to pursue a Literature or Writing Degree has inevitably undergone the questions that accompany them. What are you going to do with that degree? and Are you silently judging my grammar? The answer to the latter is yes, but the first question can give even the most overconfident bibliophile pause. I would argue that even those majoring in “safe” degrees like Accounting or Biology often find the question stumps them, too. Does anyone really know exactly what they want to do for the rest of their lives in their early twenties? Really? Even people in stable jobs question that decision from time to time (or all of the time), so why the book major bashing, people? No matter, the question is a valid one (kind of) so it’s only appropriate you provide a (kind of) valid answer. Below are three fields I’ve come across that match the skills of most English majors quite well. And people are catching on. Enjoy, my coffee drinking compadres. Before you give me the bird and start your tirade about how social media is the downfall of our society, wait. Hear me out. Then, by all means, continue tirade-ing. Writing about topics you’ve never before known. Figuring out the perfect turn of phrase. Understanding the essence of something and communicating it to others in a way that makes them laugh, makes them think, and/or makes them want more. Do any of these tasks sound familiar? The answer, of course, is yes. Chances are, you’ve had to accomplish all three of these tasks in one or all of your Literature or Writing courses. Social Media may not seem similar to analyzing a Jane Austen work through a feminist lens; however, the skills that allow you to do so are quite compatible. Similar to a time when you’ve been met with texts you’d never before read, managing social medias for businesses require you to dig a little (or most often, a lot) deeper. Social Media Managers often are met with clients who are professionals in areas they never in their wildest dreams thought they’d deal with, though they’re able to do the relevant research in order to represent them. Personally, I’ve managed social media accounts for funeral directors, pest control specialists, mortgage lenders, and a brand of vodka. I’ve learned a lot from them and have been able to use those skills garnered from my Literature courses. I’ve also had to put on my researching pants and dive head first into the ever-shifting terrain of digital marketing. Researching what interests people, what trends, and what turns people off is actually fascinating. Moreover, finding the perfect way to reach an audience is extremely satisfying, no matter if it occurs through a thesis or a tweet. This position probably sounds a little more enticing. The title flutters; however, the job itself is tough, relevant work. Creating relevant, SEO friendly content about, say, a plumbing company may seem daunting, but Content Creators eat stuff like that for breakfast. Their content comes in the form of website content, blogs, informational brochures or press releases, just to name a few. The title itself shifts from Content Writer to Content Creator to Content Developer; however, the tasks are similar. Create content for a company, individual, or brand in order to draw more attention, gain sales, and provide a well-written narrative. For this job, it’s important that you have a background in research and you’re willing to expand your knowledge base in order to understand seemingly unusable information. For example, writing 500 words about teeth whitening and cavities for a dental office while implementing key words is just another day in the life for a Content Creator. Content creation can be fun; however, it can feel mind-numbing if you have to consistently create content for fields that don’t interest you at all. That’s where creativity comes in! As a Literature or Writing major, you’re asked to really examine a text—even one that doesn’t interest you in the least—through different lenses, which allows you to expand your interest and gain confidence in the subject matter. The same can be said for tackling a subject for content writing you’ve never before tackled. Content creators must have a handle on the audience, as well, so they know the type of content wants to be read. Technical writing can make you real cabbage (aka money). We aren’t talking brain surgeon or engineer money, but we are talking this kind of money. On the flip side, technical writing is aptly named. Not creative, not stream of conscious, not implementing awesome words like cabbage, but technical. Many technical writing jobs require the writer compose directions, explanations or instructions about a difficult subject, or process in an understandable way. 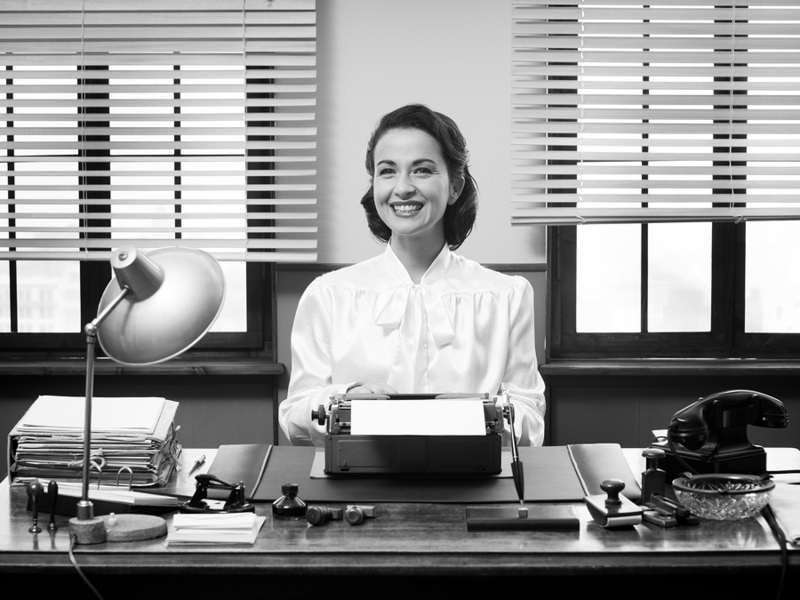 Technical writers work in, you guessed it, primarily information-technology-related industries. Types of documents technical writers compose are customer service scripts, training course materials, contracts, policy documents, white papers, etc. If you think, I’ve never written customer service scripts, training course materials, contracts, policy documents, white papers, etc. fear not! That’s where that trusty research background comes in. Also, in many cases English majors have to take a Technical Writing course where they learn the basics of formatting and audience for these types of documents. What are other ways you think your Liberal Arts degree prepares you for the “real world”? Any other career suggestions? Oh this is January, and what have you done? I think I just spliced several different concepts, songs, quotes but we’re all good with that right? Right. Happy New Year everyone! Times they are a changing and it’s 2016 in the big town baby. Wow, my brain is just one giant pop culture machine. So, as you may have noticed I haven’t blogged in a while. There I said it. The old me would be obsessing over this fact, but obsessing is so yesterday people (thanks Hilary Duff). Also, as part of my job I have to blog for 4-7 other entities, post to a myriad of social media accounts as a ghost writer (spooky), and type until my little fingers chap (yum), but I know, I know…I should dutifully blog for the few folks who love books, television, traveling, more books, and general craziness. Guess what, though? This blog is for you, yes, but it’s also for me. It’s a way for me to be bonkers and discuss the things that make me happy—the same things that I think might make you happy—and so I’m not going to apologize because enough women out there have apologized for lame reasons (I’m sorry for you bumping into me. I’m sorry for serving food that’s too hot. I’m sorry for being smarter than you.) so I’ll just refrain this time. Whew, now that that’s over with, let’s get down to biz-naz. Normally I love digging into a good cliche and tearing it to pieces through thinly veiled sarcasm and biting apathy but this time, you guessed it, I’ll refrain. I mean what’s wrong with trying to be better? What’s wrong with trying to push yourself to learn a new language, try a new workout, stop guzzling Diet Coke (too good, though, y’all. Just…too good), or make an online dating profile (a personal nightmare of mine). The new year is exciting and fresh so it’s kind of a no-brainer people would grab on to it with all of their might, even if that zest only lasts a month or so. There was my (second?) soapbox and now on to what you really want—recommendations. Let’s start the new year off on the right foot with some quality. We get enough trash already with the internet and television (even though, when one consumes trash willingly say, by binge watching Real Housewives…that’s, like, a whole other thing) so why not try out a few things with some substance? After finishing this book I had that thick teary glob that gets stuck in the throat and kind of hurts but also kind of reminds you you’re alive. Anyone tracking with me? When I get the glob, I know it’s a good book. Kitchens of the Great Midwest is the real deal people. J. Ryan Stradal brings to life the food, the flair, and the people of America’s Midwest through weaving the lives of each character around the story’s protagonist—Eva Thorvald, a cooking savant. Each character that is introduced is real and engrossing and their stories, although varied and unique, seem to somehow orbit cohesively around Eva and her cooking abilities. You don’t have to be a foodie to enjoy the book, though. The way Stradal shifts from lighthearted tales of young love to deeper situations like the death of a mother or divorce will keep you guessing and prevent you from feeling complacent. Even though, if you’re a foodie, you’ll definitely enjoy the descriptions of every type of food from new age organic concoctions to homemade butter-laden “dessert bars” passed down from generation to generation. There are even recipes in the book! Kitchens has a whole lot of heart and exhibits deep, beautiful knowledge of the unique Midwestern culture. It’s the perfect way to begin your reading journey for the new year. I’m a self-proclaimed Netflix fangirl. Also, I adore Parks and Rec. So when Aziz Ansari came out with his show on Netflix called Master of None, I was sold. The show chronicles Dev (played by Ansari) and his dating experiences in New York. It’s a whole lot more than “The Bachelor: New York Edition,” though. Firstly, it’s not total garbage. Secondly, it’s got range. From what happens when everyone around you starts having kids, to dealing with racism and sexism, to trying to navigate how to live with someone, Master of None strikes the perfect balance of biting commentary and farce—the writers acknowledge that millennials are self-centered and insecure while creating endearing, hilarious characters you can’t help but love. Master‘s wit is biting and the stories are memorable which is basically what everyone is looking for in a television show. So there you have it, a couple worthwhile things that can fill up your time without making you feel like a total sloth. I know it in my bones, and now that we’ve cleared that up we can move on to more important things. Too much of a good thing is a great thing. Ever since I can remember, I’ve always loved the fall. Growing up in rural Oklahoma, I think I felt fall-the real fall-more than those who grew up in a more urban (read civilized) environment. My house was surrounded by trees, and I spent most of my time outside, so when the tiniest hint of crispness in the air wafted through my nostrils I’d feel myself becoming giddy. The trees would blast their colors and I could finally go outside without fearing 3rd degree burns from the Oklahoma summer heat. My grandparents would organize hay rides and the entire community would pile into a trailer and ride around presumably in one big circle because the weather was just too good and the moon was just too full not to. There were bonfires, there was cider, there were babies wrapped in homemade quilts. It was divine. That deep love for the fall has now manifested in me buying too many chintzy pumpkins, eating candy corn like it’s my life source, and burning every pumpkin scented candle the good folks of Bath and Body Works can crank out. Fall allows my home to become a campy and overly scented shrine to fall, but you know what, it makes me happy, so I keep on keepin’ on. With fall comes hot drinks and with hot drinks comes cozying up on a couch and with cozying up on a couch comes reading (or if you’re me, with breathing comes coffee with coffee comes life with life comes reading). Naturally, I’m going to give you 3 book recommendations for the fall and even though these are absolutely not fall themed at all, they are awesome, and I think a lot of my blog readers enjoy awesome. Y’all this book is twisted in the best way possible. It’s dark and hilarious. At one point while reading it I said “Holy hell!” out loud at a Starbucks at the absurdity of it all. If you consider yourself even a little twisted, and let’s be real, we’re all a little twisted, then you should try out Eileen on for size. 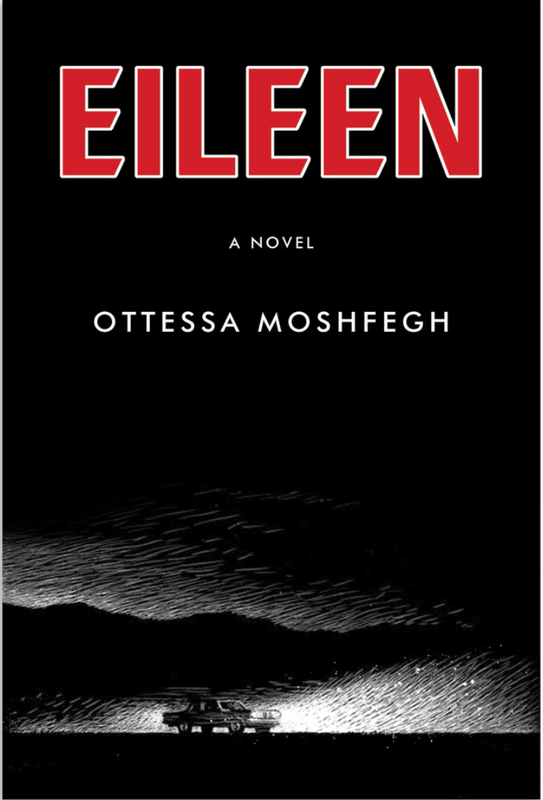 The story is told through the perspective of Eileen Dunlop at the age of 70 as she looks back on the days around Christmas when her twenty something self flew the coop on her drab, desolate life as a secretary at a boys detention center and a caretaker (kind of) to her alcoholic, abusive father. Her drab, depressing life changes when a new woman comes to work at the detention facility, and what happens next is sickening, seductive, and downright shocking. Some families are so sick, so twisted, the only way out is for someone to die. So just in time for the spooky season is this dark read that will leave you both disturbed and thoroughly entertained. I love a book that details the ins and outs (okay let’s be real the outs) of a woman navigating through her life. As a woman, it’s almost like I’m able to chart my own course in tandem with the women I read. 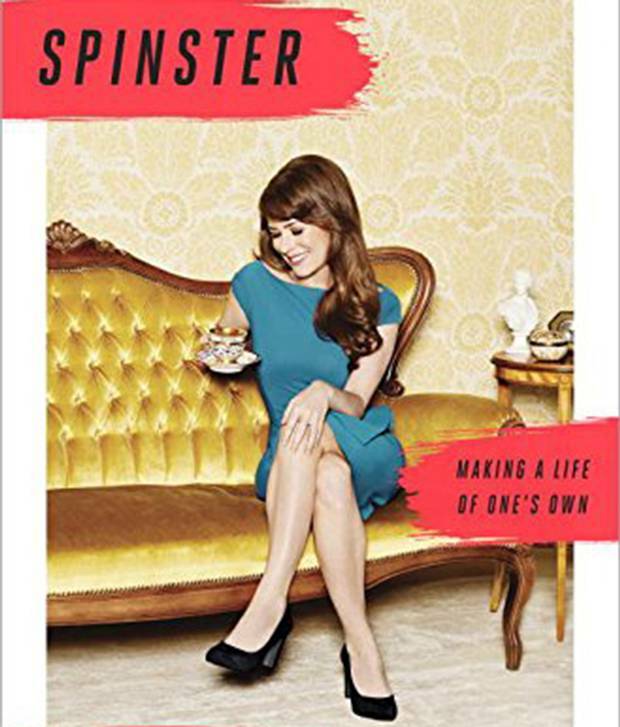 In Spinster, Bolick doesn’t shy away from the questions many of us have asked, and are probably still asking. What is my place in the world? What is my place in the world as a woman? What is my place in the world as a woman who may or may not see marriage as something I care to pursue? Her book is deliciously structured around 5 incredibly successful “spinsters” (literary and history buffs alike will rejoice) who served as inspirations as she navigated through life, love, and loss. The 5 women (writers Maeve Brennan, Neith Boyce, Edith Wharton, Charlotte Perkins Gilman and Edna St Vincent Millay) were considered her “awakeners” and provide a unique cultural and historical edge to the memoir. You are born, you grow up, you become a wife. But what if it wasn’t this way? What if a girl grew up like a boy, with marriage an abstract, someday thought, a thing to think about when she became an adult, a thing she could do, or not do, depending? What would that look and feel like? This book forever holds a special place in my heart/mind/soul. It’s one of those books that, because I began reading it during the fall, I instantly associate it with the season. Do you have any books like that? 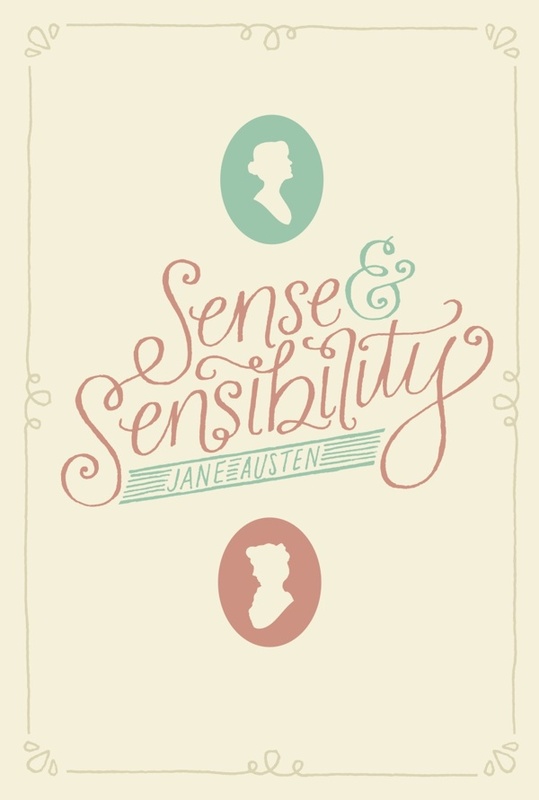 For those who’ve been living under a large rock, Sense and Sensibility was written by the incomparable Jane Austen, and, in my humble opinion, is one of her best books. I’m too much of a wuss to say it’s her best book because I’m constantly vacillating between S&S and Mansfield Park. It’s also a book with a beautiful film companion (Kate Winslet, Emma Thompson, Hugh Grant, Alan Rickman, you know just the bottom of the barrel kind of cast) that stays true to the book. It’s a lovely tale of two sisters as they try and navigate through their family, monetary, and love drama after they are left with little money and barely any prospects for marriage (which, as you know, during that time was seen as basically a woman’s purpose for being). The relationship between Marianne and Willoughby is one for the books. If you love drama, like Real Housewives chair flipping level drama, then they are the couple for you. The other sister, Elinor, is maybe one of the most honest, kindest characters I’ve ever read (right up there with Atticus Finch in TKAM) and the way she navigates through her environment, her distressed love, and her station in life is really very beautiful. If you’re looking for a wonderfully written work that will whisk you away from your everyday life, Sense and Sensibility is for you. It’s also a nice dip into the Jane Austen pond, for those who’ve only read Pride and Prejudice (not judging you…but kind of judging you). So there you have it. Three books to take you through the lovely fall months. Which books do you enjoy reading in the fall? 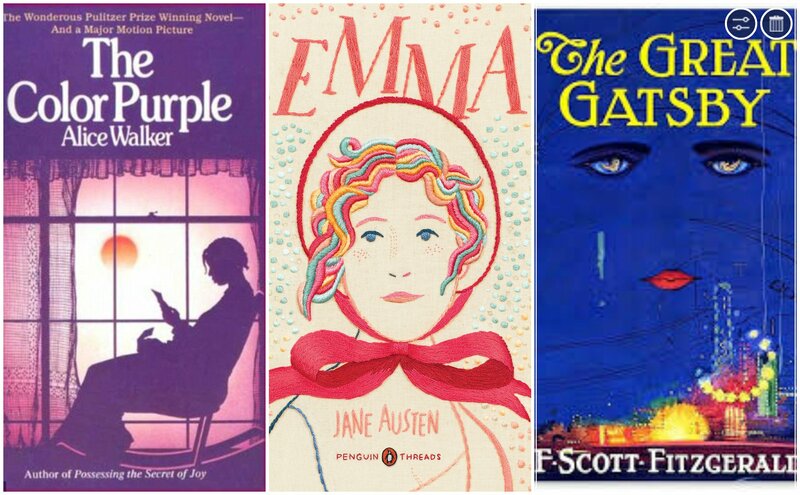 Have you read any of these three? So I have a bit of a confession. In my spare time, instead of solving issues of world hunger or tearing through my (GROWING!) reading list or trying new, exotic cuisine or showering, I’ve gone rogue. I’ve went through the looking glass, and there’s really no turning back. Yep, I’m re-watching all of the seasons of Gilmore Girls. I went back to the very beginning (a very fine place to start) of Rory and Stars Hollow and Dean (the boy she SHOULD have broken up with much earlier) and Jess (the boy she SHOULDN’T have broken up with…at least until Junior year of college). It’s such a frothy, fast-paced world of perpetual fall days and festivities and old timey barber shop quartets and cars that stay unlocked because, heck, there aren’t any felonies in Stars Hollow. And Lorelai. Beautiful, batty Lorelai. 1.) Staying true to yourself is the only real option. Kooky, oddball, hilarious, weird. These are all words that consistently come to mind when describing Lorelai. Obviously she’s striking and lovely to look at, but that’s not who Lorelai is, yafeel? She doesn’t cook (at one point she becomes upset with Luke for making her stir), she doesn’t people please (one look at Emily Gilmore’s perpetual side-eye at her daughter and you know Lorelai honestly doesn’t care), and she raises her kid the way she sees fit. Pizza, Twizzlers and coffee for dinner? NBD. Lorelai is Lorelai and won’t be bothered with who she is supposed to be…or who she’s supposed to be with. That’s actually a really powerful quality in an Instagram filtered society bent on being perceived as perfectly perfect. For the record, if Loreli had an Instagram I feel like it would be filled with photos of piles of dirty laundry and unflattering shots of Michel. 2.) Pop culture is actually pretty powerful. Pop culture gets a bad rap. The thinking goes, if you have enough time to make E! news and People magazine your daily bread then there isn’t enough brain space for things like global warming, politics or existential questions. It’s a valid argument, but one that fails to give credit to the lack of sleep many pop culture fiends can live on. I like to think my existential thoughts in the morning and leave the Marry, Do, Kill Celebrity Style for my late night ruminations. 3.) Never underestimate the power of a strong woman. Lorelai is one tough broad. She raised a child on her own when she was basically a child herself. Yeah she was privileged growing up and yeah she wound up in a pretty idyllic little town, but for a good chunk of her life, it was just her. She is incredibly self-reliant. I on the other hand tend to lean toward leach-hood when it comes to people I really care about. I think Lorelai appreciates her friends and family (kind of), but when it comes down to it she’s able to create a life in solo fashion. This is a powerful example, not only for women, but also for everyone. Do you watch Gilmore Girls? Who is your GG character spirit animal? If you don’t watch it, why are you crazy?